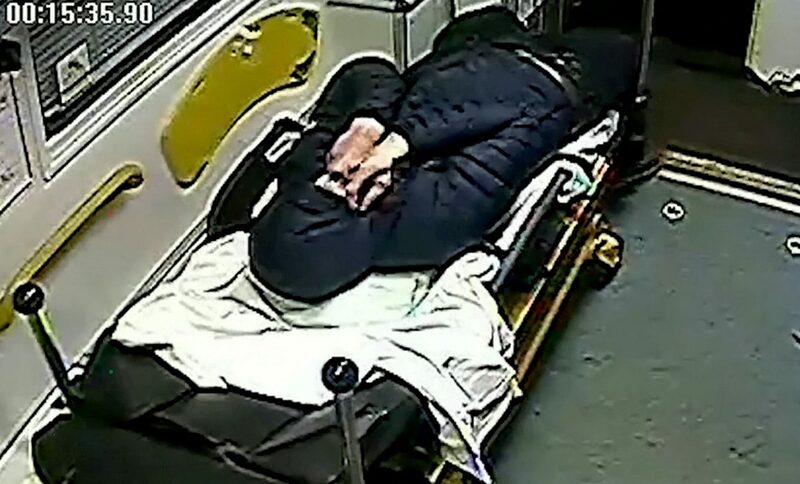 Police are hunting for a pair of yobs who were caught on camera breaking into the back of an ambulance while paramedics attended to an emergency. 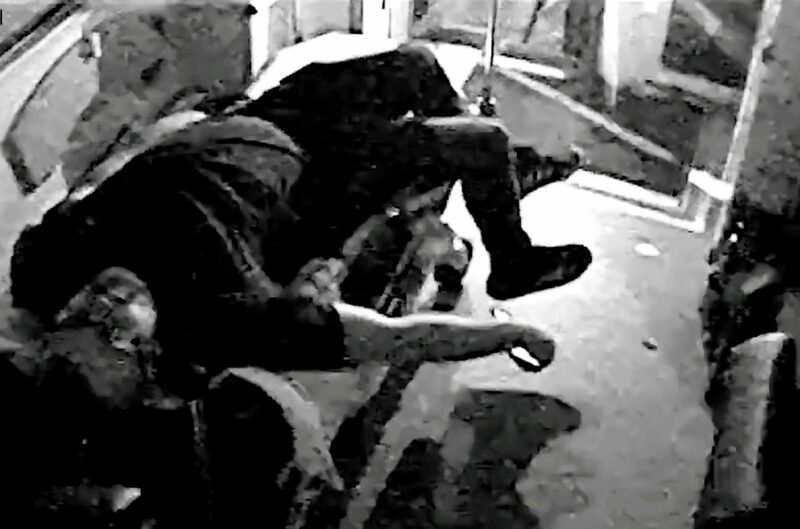 Shocking footage captures the idiotic pranksters forcing their way into the emergency vehicle and larking around by lying on stretchers. The pair caused £200 worth of damage which resulted in the ambulance being taken off the road for a day following the incident in the early hours of New Year’s Day. Paramedics from East Midlands Ambulance Service (EMAS) had been called to Hope Road, in Bamford, Derbys., and parked up outside the Travellers Rest pub. When they returned to the vehicle the medics noticed that the rear doors of the ambulance had been forced open and damaged. CCTV footage caught the pair laughing and joking outside the pub before they jump inside the vehicle and sprawl out across a stretcher. Derbyshire Police has now released the footage and urged anyone who recognises the men to get in touch. “This damage took a life-saving vehicle off the road for a day. “Our mechanics and colleagues in our fleet team worked hard to get it back out on the road and ready to respond to patients, but the £200 this cost could have been spent on extra crews or lifesaving equipment. Anyone with information is asked to contact police on 101 or anonymously via Crimestoppers on 0800 555 111 quoting reference number 18*633893.